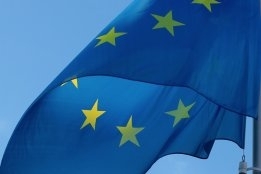 Barely a week after it was criticized for appearing to push forward restrictions on the use of exhaust gas cleaning systems (EGCSs), more commonly known as scrubbers, the European Commission (EC) is continuing to give financial backing to shipowners looking to adopt the technology. Its latest endorsement came Thursday with EC saying the European Investment Bank (EIB) will contribute €49.5 million ($56.3 million) as part of a total €110.4 million ($125.5 million) joint loan deal with ING bank to finance scrubber and ballast water management system (BWMS) retrofits on 42 Spliethoff vessels. Of those, 17 vessels will be retrofitted with both scrubbers and BWMSs, five vessels with scrubbers, and 20 vessels with BWMSs. "The support from the European Commission helps to make the maritime transport sector easier to finance for the Bank, a good example of cross-European teamwork," said EIB Vice-President Vazil Hudak. Earlier this month, EC called for urgent action on scrubber discharge rules that "could also include discharge bans from ships using a specific technology" in a move seen by some to be pushing the agenda of those looking to ban scrubbers over fears they negatively impact the marine environment. However, in Thursdays announcement EC made a point of saying the retrofits will not only help meet air emissions targets but enable the "prevention of the release of seaborne pathogens that are harmful to the marine environment." Spliethoff has been a long time user of scrubbers, having previously invested in the technology to comply with the 2015 introduction of the 0.10% sulfur cap in emissions control areas (ECAs).